day 355 and the temperatures are noticeably cooler in the mornings and evenings as autumn draws to a close and we prepare for winter. i have been making hot chocolates for the family as i nice warm up before bedtime. my sweet family have been helping me all day preparing for our pinterest party next weekend ... lots of crafts to organise. i wanted to do something special for them so they know how much all their help means to me. i was reminded this afternoon while out grocery shopping of this pin and how sweet it was ... something simple but meaningful. 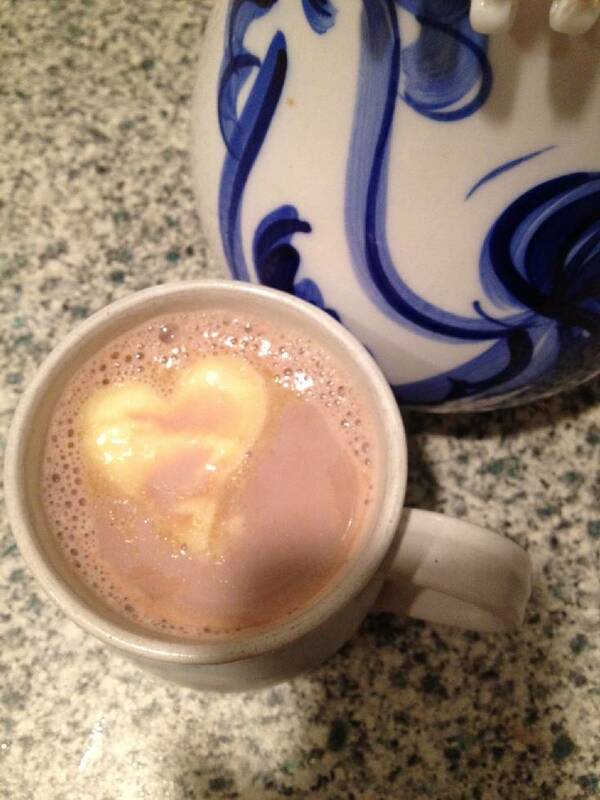 who wouldn't like cream in the shape of a heart in their cocoa! i can't find the original owner of this pin, if you do let me know so i can link it up :) the idea is also pinned to my winter wonderland board. 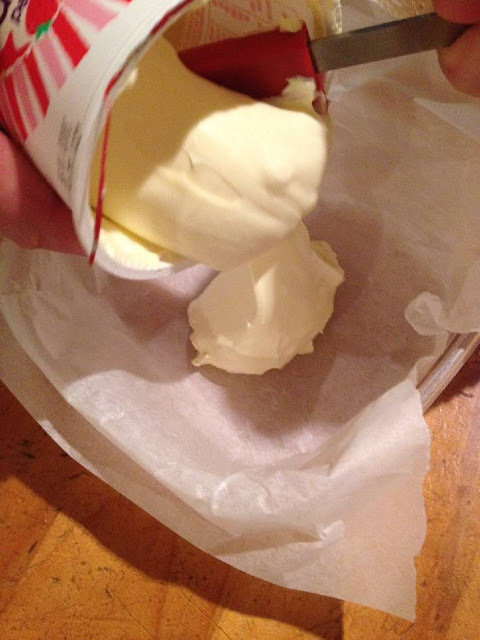 to do this you simply spread some thickened cream into a container and freeze it. i lined my container with baking paper so i could get the frozen cream out easily. 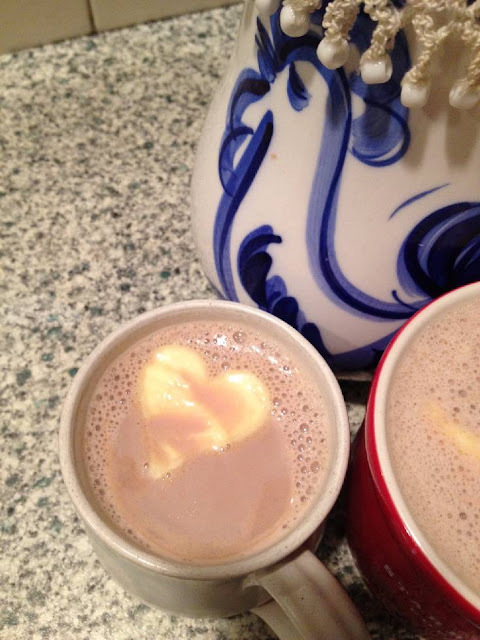 then make some hot cocoa, use a cookie cutter to cut heart shapes out of the frozen cream and drop into the hot cocoa ... that's it, but just wait for the smiles when they realise there is something heartfelt in their warm drink. trust me it's worth it! 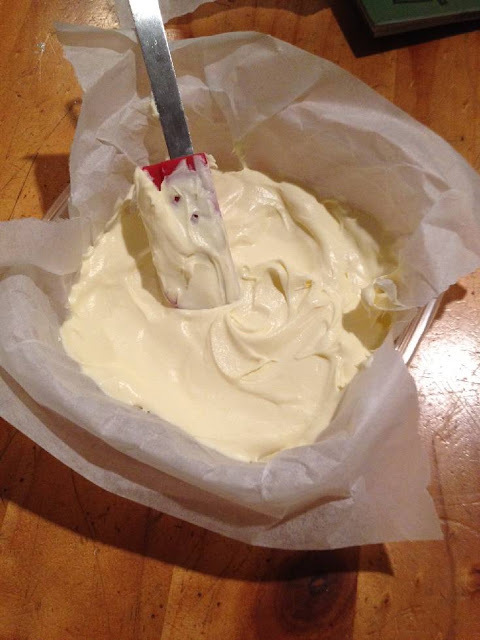 cut shapes out of the frozen cream and put into the cocoa ... enjoy! to the owner of this idea, awesome and thanks ... again, it's the simple things that make everyday so special and this is definitely one of those things. woah, 10 days to go, a pinterest party! love your love heart. This is an awesome idea! Good luck with the final organising of your party! This is very cool! I am totally going to try it! Now this is the perfect use for silicone ice cube moulds!!! I'm all for cream in hot chocolate...love this idea. that's such a good idea jenny, i am totally making lego minifigs for the party! Awww! Super sweet! Looks really yummy!